Check out some of the homes that were purchased with our Layton rent to own homes program. Rent to own homes could be a lot of pressure with lack of down payment, credit or income which doesn’t qualify you for a better loan to purchase a home and all. However, all is made easier with Layton Rent to own Home Program. With this program, Rent to Own Homes in Utah – Northern Realty specializes in assistingresidents to receive the happiness of being a home owner by proffering a great rent-to-own houses in and all around Layton. As an occupant that wants to own a home of their own; rent to own a home or lease option or lease purchase as they are usually called would be the best option to consider when bank finances are not working out well. Rent to Own Homes in Utah has a program where a group of investors will pay cash so that the residents can get on a rent-to-own program, help them to get their credit up so as to hasten the purchase of homes and apartments within a short period of time. 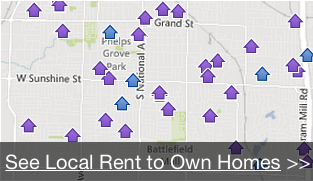 Rent to Own Homes purchase houses every month from home owners who are willing to put it up for sale. These homes are repeatedly refashioned to fit the taste and fashion of any buyer to move into. The local house rents are always ready for any buyer to move in as they are well updated to modern taste and they are situated on good neighboring environment. Every of rent to own homes are always diverse, so there are absolutely different apartments that suits various buyers. Layton Rent to Own Homes program offers different type of houses and they include; 2 and 4 bedrooms of 1,400 to 2,500 square feet with modernized kitchens and bathrooms. Usually, these apartments are always restructured whenever there is a buyer. Renting to Own a Home in Utah is straightforward; all you need do is submit the necessary information on the website to create a free account and state the kind of house you’re willing to buy and the budget. After then, the team would look into the type of property you’re willing to buy; then show you the rent-to-own options in Layton. Subsequently, you will then view the available options that suits what you want. If you like a home and you wish to purchase it, you will fill out a form and this also help people with any credit or financial situations. So if you can afford the property, there is a probability that they would help you own it because once you approve the property; you’ll then agree on a monthly rent amount and the future purchase terms. Following the signing of the document, you’ll move in and pay the rent on time and at the end of the rental agreement you can decide if you want to buy the home at the fixed price or not. However, there is no obligation to purchasing the home after the rental agreement expires. 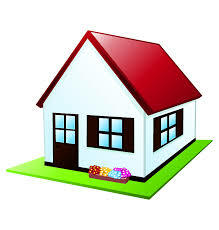 But if you do, in some cases you will get a portion of the rent paid to decrease the purchase price. The lease option or agreement last for 3 years but it could be extended if you need more time to get your credit to a point of getting a bank loan. Looking for Layton rent to own homes? We acquires new homes every month, so if you’re on the Rent-to-own Homes/Lease Option list you will receive notification of available properties for sale.